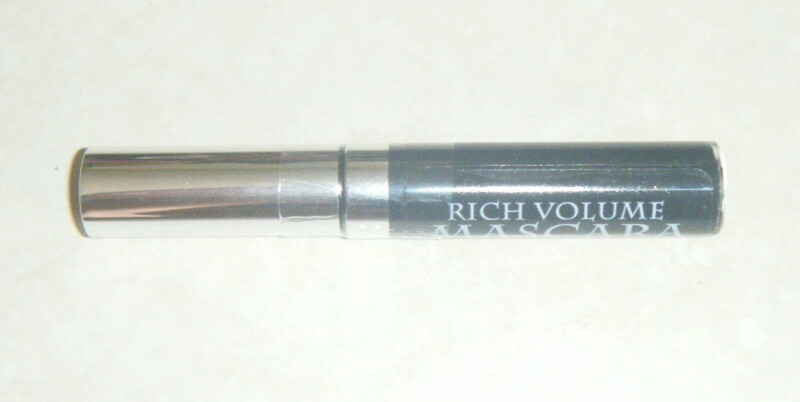 Rich Volume Mascara contains emollients for treating your lashes while offering volume that will last through the day. As I stated I'm updating. There has been alot going on here and I kind of took a subbatical from work. I couldn't focus on my career and family when they were pulling me in different directions, my family came first. Our 16 year old let his grades slip so I've had to be on top of him more then I probably should. I say "let" because he knows the work and can do it, his test scores are good, as he put it "I got lazy". The 12 year olds grades are good but he has been fosusing alot on sports and what season it is, keeping me running. The 10 year old is a Star student, perfect grades, in leadership at her school and still doing Cheerleading so really busy. The 5yo is about to start kindergarden, and as much as I want him to grow up, I get scared because he is the "baby" and I want to keep him little. He has started playing football this year and his first practice is tonight. My Husband has been kicked down with illness the last few years, between the seizures and migraines, the COPD and the essintial tremors, We recently found out that he has AVN and had a fractured femur. The femur has healed and he is going in for a total hip replacement on the 24th of August for the AVN. He will be 40 on the 14th of August, so really young for a replacement. I am hoping that him being young will help with the bounceback from surgery. Will update again later on how the surgery goes and his recovery. Now things are more normal here I plan on working again. There have been some changes with Affordable Mineral Makeup™. Starting with a new owner. Arlene Sherman now owns AMM and is doing a great job of keeping things going and working well with all her consultants. I spoke with her on the phone yesterday and she is an insperational lady. I have ordered since she took over and am happy to say I recieved my order in the same short 3 days as I had before. Same great service is being offered just by a new person. She has a Professional Makeup Artist joining our team very shortly, and he will be available to help all of us (consultants and customers). There will be a few more changes along the way, I will post as they begin to happen. As always there are alot of new colors that have been added www.mineralsbycherl.com and they are all beautiful. Some colors have been taken down, but you can also mix your own colors, or if you are looking for something specific ask me and I will see if we can get it. Anyways, I am back to work now, so if you need any colors, or want to try Affordable Mineral Makeup and you are close to me let me know. I would love to meet with you and do a color match. If you use a different brand of Mineral Makeup compare the ingredients I know you will be suprised, we are all natural with the least amount of ingredients and NO fillers!!! Nothing that will harm your skin will ever be in AMM. This set is good for beginners or someone new to using mineral makeup who doesn't want to invest in the better brushes right from the beginning. The ferrules are black aluminum and the handles are polystyrene. 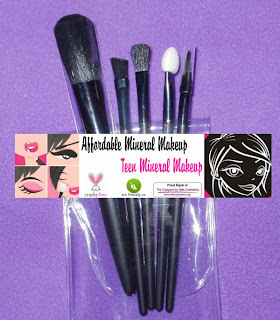 The small 5 pc brush set comes in a clear PVC plastic pouch. Set is approximately 4" long. Hi I'm Cherl and I am a married work from home mom. I am an independent rep for Affordable Mineral Makeup™. Affordable Mineral Makeup™ is for the tween, teen, woman who wants soft, radiant looking skin. 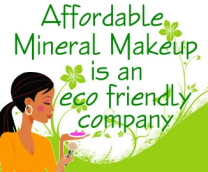 "I am an independent consultant for Affordable Mineral Makeup™. The images and content are sole property of Affordable Mineral Makeup™. They cannot be copied, reproduced or used without the sole permission from Affordable Mineral Makeup™."